With the popularity of Scentsy these days, there is a good chance you may have already heard about the product I am going to share with you. However, I just discovered it’s magical powers myself. 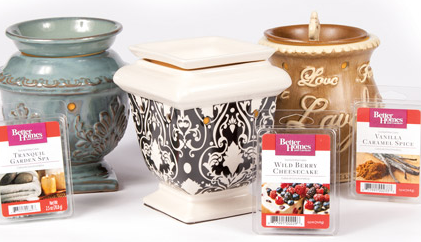 I am talking about these flame-less candle wax warmers. I have used the oil burners with the tea light candles for years, but these flame-less wax warmers are new to me. The direct retailer, Scentsy really put these on the map, but recently some other big name retailers have started carrying them. My mom first introduced these warmers to me, because she found them at Walmart. Then a girlfriend told me that Costco sells them too!! 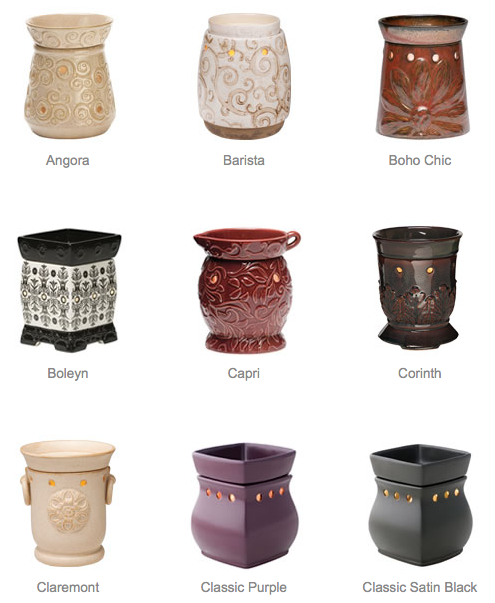 Don’t get me wrong, Scentsy has a great selection of warmers with really fragrant aromas, but they’re a bit pricey (which is why I had not used any until now). 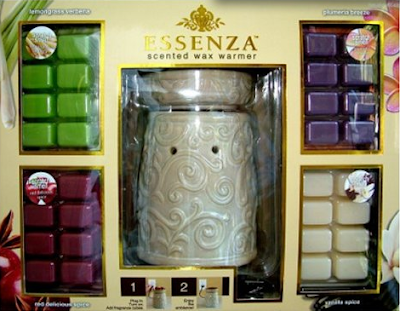 Walmart sells the large warmers for $15, the wall plug-ins for $10 and a 6-pack of wax for $2! 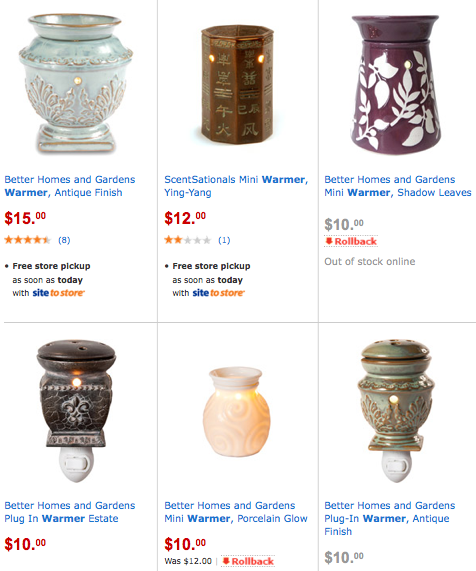 Those are all much cheaper than the original Scentsy brand. Costco, offers the best deal of all though, it’s a box set with one large warmer and four difference wax scents for only $20!! I actually already bought multiple box sets at Costco for Christmas presents! I think these flame-less burners will make a great Christmas/Holiday gift for any lady in your life! I have over 7 different scents that I bought and I love switching the smell depending on my mood. It’s so much nicer than buying 7 different Yankee candles at $20 a pop. These candle wax warmers run on globe bulbs found at any retailer, but all the warmers come with one too. The wax will burn for hours, and there is no risk of anyone toppling a flaming candle! There are a few precautions I have to warn you about… some of the warmers get really hot, and they will burn your fingers. So, don’t try to move them while on, and keep out of reach of children. I’ve heard the Scentsy ones don’t get as hot, but I cannot confirm that. Also, know that some of the waxes can be really strong when melted, I’ve found the “spice” scents are the heaviest. 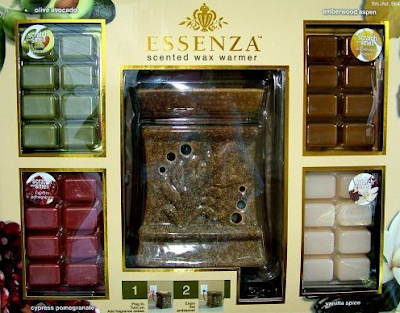 To alleviate too strong of scents, I only put half a cube in each warmer. If your home is large (mine is not), a whole cube won’t overpower you. I am really excited about this new discovery and I want to get a warmer for every room in my home now. I definitely suggest these to you and anyone you want to gift one too! Here are the Links for Walmart and Scentsy. Unfortunately Costco doesn’t sell these online, but if you happen to go into the store, you should totally check these out! Love Those I have a Scentsy! 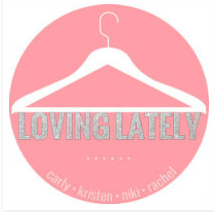 I bought one for my boyfriends mom when we first starting dating & it was hit! I've been wondering about Scentsy, so I'll have to check it out. Sounds like those Costco ones are a great gift idea!